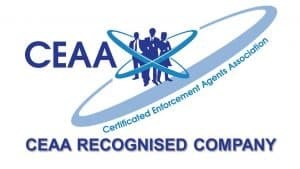 This level 3 OFQUAL accredited course has been developed for anyone that would like a career as an Enforcement Agent (EA).With this course we also assist the learner with the administration for their enforcement agent (EA) court certification process. IES Training has developed this corse in conjunction with The Open College Network West Midlnds . This course has been developed to help increase the quality and improve the standards and consistency within the industry. The course is run over two days and will provide existing Enforcement Agents with the advanved skills to better understand the law of “Taking Control of Goods”. 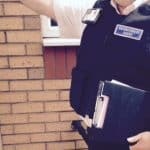 Our level 3 course allows anyone from a new to starter or an Enforcement Agent already cerificated with a Level 2 certificate to increase their knowledge in the areas of Conflict Management Workshop, Dealing with vulnerable debtors, Safe Guarding of Vulnerables, Customer service within the National Standards, The origin of debts, fines & Penalties and the correct use of the prescribed form. This course involves pre-reading to gain prior learning before attending the classroom-based part of the course. There are reading materials for revision based learning hours. What is the difference between the 2 Day & 4 Day Course? The Four day course is designed for Trainees & New Starters who do not hold a Level 2 Taking Control of Goods and with to have a greater knowledge of the industry and its processes. I already hold a level 2 Taking Control of Goods can i qualify for contributing units towards my level 3? What is the difference between between an OFQUAL accredited course and one provided by on the Endorsed frame work? All OFQUAL Accredited courses are required to go through a constant audit process both for the quality of the content of the course, the examination process and for the trainers delivering the course, exam paper are checked on a regular basis by an external assessor to ensure that the course has been delivered in like with OFQUAL guidelines to ensure that the content is up to date. . Endorsed courses do not undergo these audits and may not checked at all by authorising body to ensure that the content is relevant to the learning outcomes.